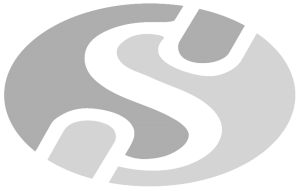 Browse, search and register for upcoming SEMMA and industry events. With energy prices steadily rising and increasing operating costs, staying competitive is getting harder for businesses around Australia. Our Members have expressed a desire to learn more about solar for their business, but an oversaturation of pushy providers has led to distrust and apprehension. 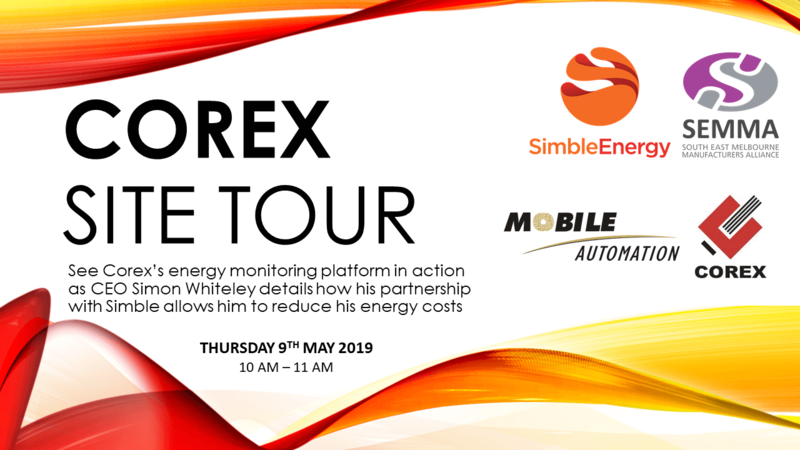 This information session aims to educate and empower SEMMA Members to have greater control of your energy by offering energy efficiency solutions that can save money and help your businesses become more efficient. Delivered in plain English with demonstrations of panel types and multiple guest speakers, we’re here to answer your burning questions. Continental breakfast, barista coffee and fruit juices supplied. 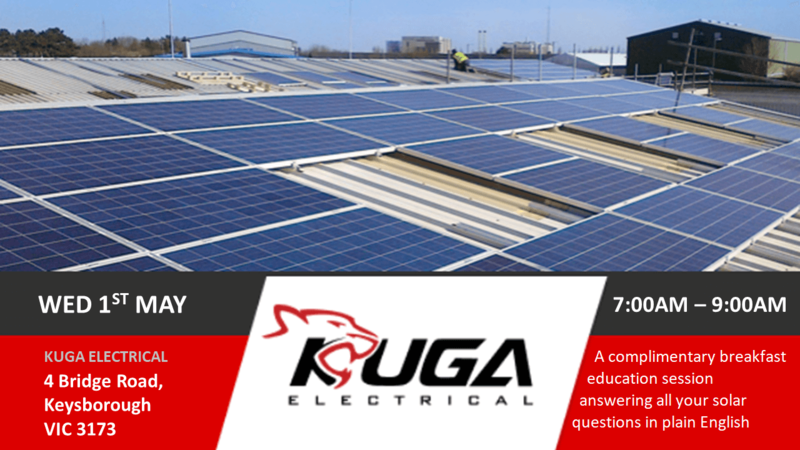 Kuga are tailoring the information session to our members’ needs to give you the most relevant and interesting presentation possible. Keep an eye out in the coming editions of our Newsletter for a 1-minute poll to rate the topics of interest to you and your business. How can it help my manufacturing business? How and where do I get ‘it’? If you need answers to any one of these questions, then this complimentary workshop is for you. The field of Industry 4.0 is rapidly expanding with a lot of excitement surrounding it. 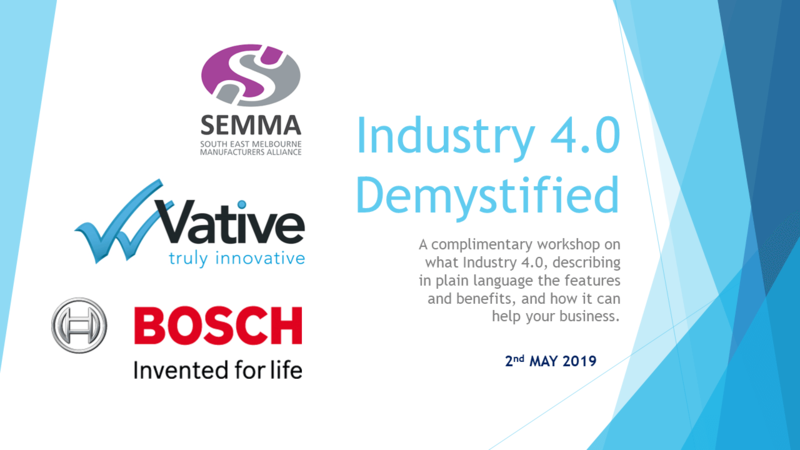 However, there are many potential I4.0 users who do not yet have a firm grasp on what it really is, how it can help their business and how they should go about the digital transformation of their business with maximum effect. Additionally, the answers to these questions are not readily available. 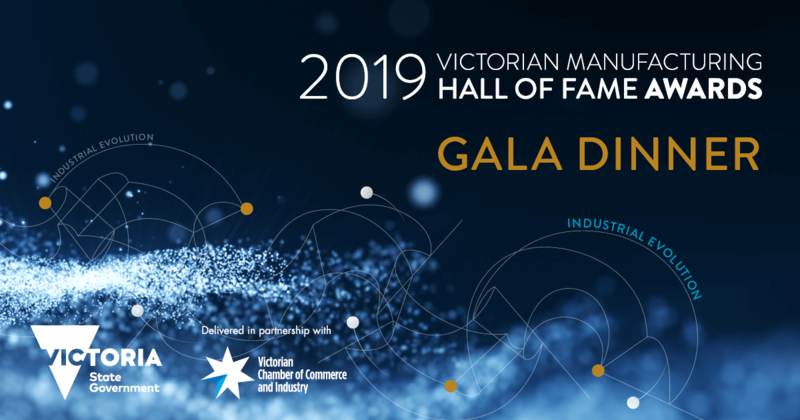 The awards will highlight the importance and strength of the local industry and the bright future of manufacturing in Victoria. SEMMA are long term supporters and event partners of the gala with our members receiving awards each year through our nominations assistance. For the first time, this event will be held at the waterside Peninsula, in Docklands. Please note this is a black tie event. Allow us to manage booking tickets on your behalf. Our dedicated team are experienced with organising tables and communicating with members to ensure ease of booking. As an event partner, bookings made by SEMMA will place all our members together as opposed to being placed sporadically throughout the room. We ensure all our members will be seated within our community group. Thinking of bringing your team or entertaining clients? 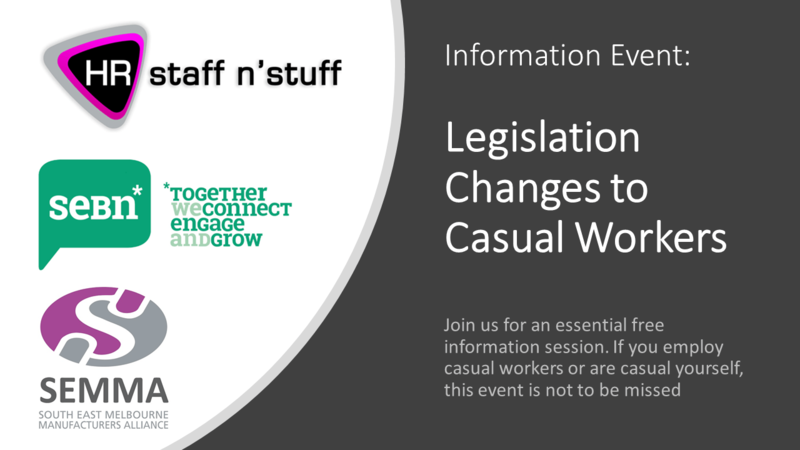 Join us alongside our partners SEBN and HR Staff ‘n Stuff as we present an essential information session for our members. The new conversion clause for casuals, introduced into most Modern Awards late 2018 and what does this mean for you? Our presenter is the Director of HR Staff ‘n Stuff Deborah Peppard. 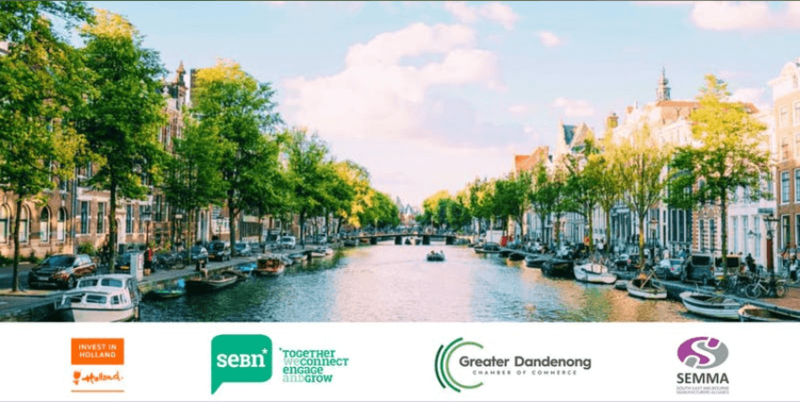 Deb’s common-sense approach comes from many years’ experience in national and global senior management roles with Intrepid Travel, Bed, Bath n’ Table, Goldmark Jewellery, Kodak and Hoyts. She honed her ability to cut through the HR related issues as well as leading these businesses she represented to achieve their full potential with increased sales growth, award recognition and successful teams. She is excited by the opportunity to help businesses navigate their way through challenging situations whilst helping them build an engaged and successful team.